A brief history of Easthampton Ma. Easthampton was first settled by European immigrants beginning in 1664 and was originally considered part of Northampton. In 1785, the village of Easthampton was formally named its own separate political entity, and twenty-four years later, it officially became a town. 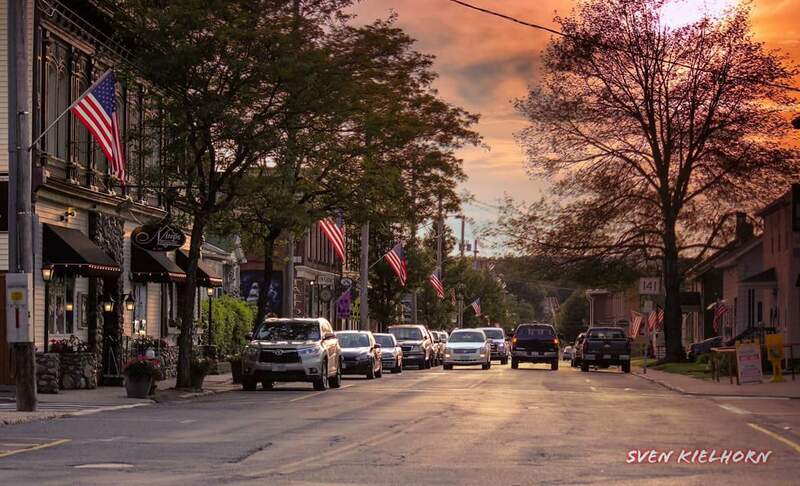 The town grew primarily around the Manhan River, both through its phase as a strictly agricultural community and later, through the industrial revolution, when mills and factories were first built in Easthampton, mainly in connection with textile manufacturing and its offshoots. The first of these, the Williston-Knight Button Company, was established in 1847 by Samuel Williston, son of the town?s first minister, a Congregationalist named Payson Williston. The company specialized in cloth-covered buttons ? a coveted item at the time ? and to facilitate the operation of the machinery, a local brook was dammed, creating Nashawannuck Pond. Other mills soon opened nearby, a number of them specializing in elastic and rubber thread manufacturing. Following this spurt of industrial development, the town?s first high school and first national bank opened in 1864, and a town hall was built in 1869. Constables were replaced by the town?s first police officer in 1871, the same year that Easthampton became a regular stop on the railroad. The town?s public library opened in 1881, and fourteen years later, the community was introduced to two new innovations, telephones and streetcars. With the influx of new residents came a number of new churches, founded for Catholic, Episcopalian, Lutheran, and Methodist parishioners, as well as a second Congregational church. In 1899, the West Boylston Manufacturing Company and the Hampton Company, both specializing in cloth production, moved to Easthampton, recruiting a larger immigrant labor force, particularly from Poland and Canada. During World War I, the town?s mills all obtained federal wartime contracts and did well financially, but long before the Great Depression hit, many factories owners were already laying off employees, seeking mergers with other companies, or looking for buyers for their facilities. World War II provided some relief for the Easthampton economy, as several of the older textile companies as well as newer heavy manufacturing corporations received another round of federal contracts. However, beginning in the early 1960s, a number of critical closures hit the town hard, and even the opening of a new industrial park could not entirely offset the damage done. Small farms and well-established family businesses have helped to keep Easthampton afloat, and especially in the years since the community changed its charter to become a city in 1999, the downtown area has undergone a transformation. A small but growing community of artists and young people has been lured to Easthampton because it offers a lower cost of living than nearby Northampton, long considered the major hub of the off-beat bohemian community in the area. Much of the development around Main Street, Union Street, and Cottage Street is due to the influx and interests of this new demographic. This growth has produced new arts and cultural events such as the monthly Art Walk Easthampton, held each "Second Saturday," in which visual, music and performance artists showcase their talents at venues around the city.